C&E Strength Max is a combination of pure 20% L-ascorbic acid (vitamin C) and 5% tocopherol (vitamin E), designed to deliver maximumresults. These proven antioxidants work synergistically to protect the skin while boosting collagen production and improving the signs of photodamage. 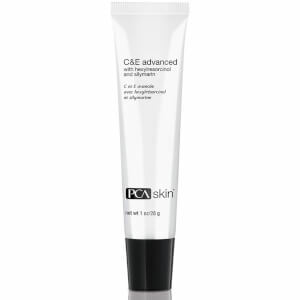 Daily use of this anti-aging formula in conjunction with the appropriate PCA Skin® broad spectrum sunscreen provides optimal skin protection. I suffered from photodamage due to severe sun exposure from my sport activities. 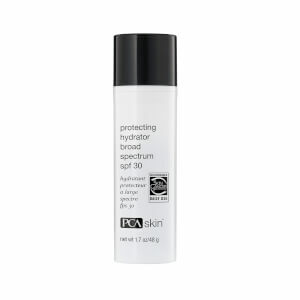 Upon using this product coupled with Pca C- quench serum , upon the recommendation of my dermatologist, I noticed a great improvement in my skin. It smoothens , brightens and brought the glow back in my 41- year old skin. Old friends have remarked that I looked younger . I had only been using this for more than a year and it had turned back time.